check out our services in our site! 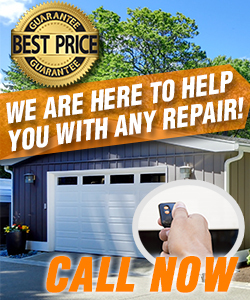 If you want more information about our Garage Door Repair in Florida, just call us! You can also email us! Be a sport today and do yourself a favor! Call our number because we'll ensure your family's safety with great services! Do you want to replace some garage door parts? We're ideal for all replacements of any garage system! We come equipped, are careful, bring along the right size repair parts and do the job right and on time. We'll never delay you! Why delay yourself? Give us a call today!